PARTNER NEWS: Conformance testing specialist Clear2Pay Open Test Solutions has received certification from major payment networks for a suite of solutions and services that are designed to make it easier for US merchants, VARs and payment processors to add support for EMV to POS terminals. “The solutions and services — already certified by Discover, MasterCard and Visa, with American Express certification expected later this month — ease the move to EMV and ensure the correct integration of terminal and acquirer,” says Clear2Pay’s parent company FIS. Immediate availability of tools, services and consulting help merchants, VARs and payment processors prepare for October liability shift. 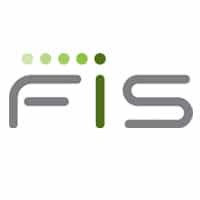 JACKSONVILLE, Fla., October 2, 2015 – FIS™ (NYSE: FIS), a global leader in banking and payments technology as well as consulting and outsourcing solutions, today announced that its Clear2Pay Open Test Solutions has introduced a certified suite of solutions and services to support the U.S. market’s EMV terminal integration projects. The solutions and services – already certified by Discover, MasterCard and Visa, with American Express certification expected later this month – ease the move to EMV and ensure the correct integration of terminal and acquirer. Combined with pre-certification and certification services, the tools will be used during pre-certification and brand certification processes for Discover Contact DPAS, MasterCard M-TIP, Visa ADVT and American Express AEIPS. The complete offering optimizes a corporation’s time to make EMV conversion smoother and faster. From Oct. 1, liability for fraud committed using counterfeit cards moves to merchants that are not EMV-compliant. Mitigating card-present fraud is the goal, but EMV transactions must run flawlessly. Before bringing a payment terminal in the field, it must be tested to ensure a correct integration of both terminal and acquiring bank; also, all EMV payment terminals must undergo a mandatory certification process following the payment brand regulations and EMVCo specifications.